Over the last decade, we have convened more than 85 AAPI leaders from across our membership through our annual leadership development program. Support the development of emerging leadership from its base. Provide opportunities to build strategic relationships with other community leaders. Deepen their perspectives on critical issues and concerns impacting AAPI communities at the federal level. Develop a coordinated national and local advocacy strategy around an identified AAPI policy agenda. Study the legislative process, including experiential learning on conducting education and advocacy with congressional representatives, policymakers from federal agencies, and the Administration. 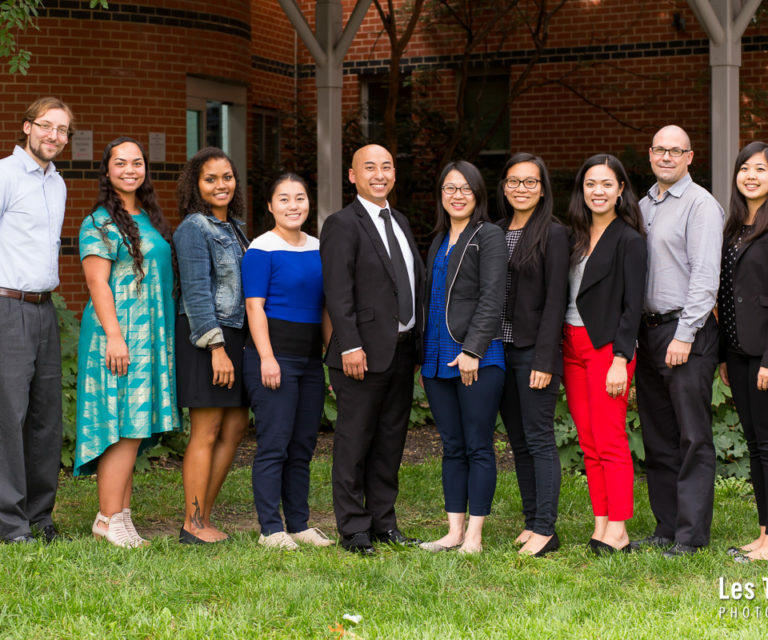 Graduates of our CITC program have been promoted to executive directorships and other leadership roles within their organizations, hold roles as policymakers within federal agencies and the Administration, and continue to serve as key representatives on issues affecting low-income AAPIs. An Huynh is the Public Space & Community Coordinator at the Seattle Chinatown International District Preservation and Development Authority (SCIDpda). She facilitates the community engagement process for projects in the public realm such as public art, park design, and alley activation. Her work also includes planning events to build community and awareness around neighborhood issues. Additionally, An works with local businesses and property owners to facilitate the design and implementation of facade improvements throughout the Chinatown International District. SCIDpda works to preserve, promote, and develop the Chinatown International District as a vibrant community and unique ethnic neighborhood. Prior to working at SCIDpda, An implemented civic engagement initiatives to mobilize AAPI voters at a community health center. As an undergrad, she coordinated campus-wide outreach strategies at the University of Washington Campus Sustainability Fund. She holds a degree in Community, Environment & Planning and a minor in environmental science from the University of Washington. In her free time, An is the Community Outreach Manager and Staff Photographer for the Seattle Asian American Film Festival (SAAFF). She tries to take dance classes, karaoke, and eat (or drink?) soup as much as possible. 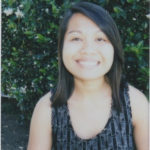 Carro Hứa is the Youth Program Assistant Director of Youth Program at the Vietnamese American Initiative for Development (VietAID). VietAID is a community development corporation that not only develop affordable housing in Dorchester but also hold services for youth and elders. In her role, she directs social justice education and programming for our Afterschool and Summer Program, train and support college-aged young adults to be group leaders and facilitators, organize with youth workers and youth around equity and access, and lead our youth leadership development program. Prior to VietAID, she has taught with Breakthrough Collaborative in Cambridge and Dorchester and Steppingstone, worked on civic engagement at MassVOTE, organized intercollegiate Asian American student focused conference, etc. Beyond her day to day she also organizes with the Dorchester Organizing Training Initiative (DOT-I). 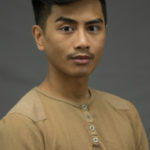 Charles Chhor is a first generation Cambodian American, born and raised in New England, having roots in Lowell, MA. After moving to Providence, RI, Charles started off with PrYSM by engaging in Queer Justice work in the community locally and nationally. Throughout this years in PrYSM he has organized around Deportation Support, Organizational Operations, and Queer Justice. 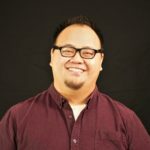 Eager to build political power in the Southeast Asian community locally, Charles now oversees the Civic Engagement aspect around PrYSM’s staff and programs. He enjoys cooking, fashion, game theory, and pop culture! Jeena Hah is the Programs Manager at Asian Community Development Corporation (ACDC). ACDC builds affordable homes and vibrant spaces, empowers families with asset-building tools, and strengthens communities through resident and youth leadership in Greater Boston. Jeena leads ACDC’s ANCHOR initiative, a strategy for community self-determination that uses arts and culture projects to drive policy & planning decisions. ACDC’s ANCHOR projects Activate spaces, address neighborhood Needs, involve Community process, advocate for Housing and Open spaces, and center Residents. Her role is to build power among residents, especially youth and immigrant families, to re-imagine land use in Boston’s Chinatown and Malden. Jeena joined ACDC in 2014 as an AmeriCorps Massachusetts Promise Fellow to launch their A-VOYCE youth leadership program. 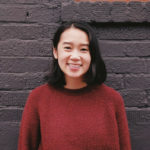 Now, she supports a stellar team of youth workers who continue to equip AAPI youth with the vision and tools to shape the landscape of their neighborhoods. Recently, the team launched A-VOYCE Blueprints, a match-savings program that prepares youth with not only the skills for financial literacy but also the convictions to re-invest resources into community. 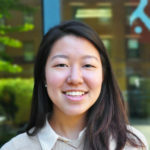 Jeena graduated from Boston College and participates in coalitions such as A-WAY (Allies Working with Asian Youth) and APIsCAN (Asian Pacific Islanders Civic Action Network). When she’s not working, she testing her growth mindset by losing to her boss at “bananagrams” and by struggling to learn her grandma’s korean recipes. She laughs at memes and dogs and memes of dogs. 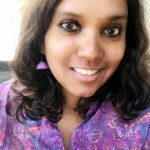 Manisha Anna Lance is the Director of Programs at Raksha, Inc in Atlanta. Georgia. She is responsible for managing Raksha’s direct services and outreach programs. Raksha’s mission is to promote a stronger and healthier South Asian community through direct services, education and advocacy. Raksha strives toward healing, empowerment and justice for survivors of violence. Manisha has been advocating for survivors of domestic and sexual violence for over ten years. Prior to her work at Raksha, Manisha was the Regional Action Network Intern for Europe and Asia at Amnesty International. Manisha currently serves on the Board of the Georgia Coalition Against Domestic Violence and is actively involved with various human rights and justice based organizations in Atlanta, GA.
She graduated with a Master’s Degree in International Studies from the University of Denver. She also holds a Master’s Degree in International Studies and a Bachelor’s degree in Economics from Stella Maris College, India. Seema Ahesan, is a program coordinator at Muslim Women Resource Center. She oversees three different programs. Seema assists clients with various U.S. immigration applications, with her main focus being U.S. citizenship applications. She also performs outreach and enrolls students for the ESL and civics classes for citizenship that are offered at MWRC. There are workshops that take place at various locations to promote awareness within the AAPI community, which are conducted and planned by Seema. Furthermore, Seema is training to become a HUD certified counselor as the program grows within the organization. MWRC strongly believes in having an informed community to help integrate the immigrant population into mainstream American society by providing the appropriate skill-sets to enter and lead productive lives in the U.S.
Before joining MWRC, Seema was working in a completely different field. 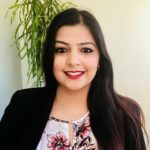 Seema was an operations manager at a Dunkin Brands Franchise, where she started off as a cashier in 2013 and was quickly recognized, trained and promoted as an operations manager. Seema is currently completing her Associates of Arts in Business and will be graduating in May 2019. After graduation, she intends to transfer and complete her Bachelors in Business Administration from the University of Illinois. Sophanarot Sam is a Youth Trainer at the Southeast Asian Community Alliance (SEACA). SEACA focuses on fostering youth power through organizing and advocacy amongst low-income Southeast Asians and their community allies in the local Chinatown, Lincoln Heights, and Solano Canyon area. They are responsible for developing and facilitating workshop for the Youth Leadership Project, which meets once a week during the school year. They also support with recruiting and sustaining new members in order to help them transition into the organizing base. After a year of the Youth Leadership Project, committed youth transition into the Youth Organizer program where they put their knowledge into action through community organizing at the local level. Prior to working at SEACA, Sophanarot participated in union organizing as a field organizer for SEIU, ULTCW through the UCLA Labor Center. After participating in this program they went on and worked as tutor for three years, while looking into pursuing credentials to become a teacher for LAUSD. Over the course of tutoring K-12 youth from several schools across LAUSD, they realized they were no longer interested in teaching. They experienced firsthand how disenfranchised communities lacked public resources and wanted to organize to help fight for the most vulnerable youth and their families. They applied for Public Allies, an AmeriCorps program that offered a 10-month apprentice at local non-profits and offered training, free community planning courses, and an opportunity to make change in the community. Through Public Allies Sophanarot was placed at SEACA as a first year and second year ally. Once the program ended, Sophanarot was offered a chance to stay on as staff and has been training youth for three years now. doughnuts at their families doughnut shop. Stevie Merino is the advocacy Director for Empowering Pacific Islander Communities. EPIC advances social justice by engaging Native Hawaiian Pacific Islander Communities through culturally relevant advocacy, research, and development. As Advocacy Director, Stevie helps educates the broader community about the various cultures, values, and diversity of Native Hawaiian and Pacific Islander communities. She works on a variety of issues relating to advocacy including health equity, education access, and political development. Most recently Stevie has developed and implemented EPIC’s strategy for integrated voter engagement efforts. Stevie has been an activist and community organizer for 15 years. Stevie’s education and professional background is in maternal health and birth work. She has various leadership roles including her most recent elected position for the American Anthropology Association on the Members Programmatic Advisory and Advocacy Committee in the Gender Equity Seat. 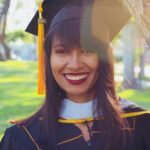 Stevie is finishing her Master's Degree in Anthropology her research is focused on maternal & infant health disparities, birth traditions and experiences of Chamorro's in Southern California. Stevie is passionate about health advocacy, social justice organizing, culturally invested research, and creating intentional spaces for healing and collective care for her community. Tong Thao is a business development officer for the Asian Economic Development Association (AEDA). Tong does business outreach, technical assistance, loan preparation, and facilitates trainings on financial capability. AEDA focuses on helping the communities create jobs through small business development; achieve financial capability through financial education and access to credit; champion more vibrant neighborhoods through arts and culture; and attain racial justice and economic inclusion through advocacy. Tong has always been a community organizer, working on several political and issue based campaigns. He has worked on issues relating to transit, food access, and financial capability. Tong is currently on St. Paul’s Neighborhood STAR Board, which gives out $2 million a year to small businesses and he currently sits on the Frogtown Neighborhood Association. He has previously served 4 years on the Dayton’s Bluff Community Council with the last year being President. Vicki-Ann (Vicki) Paresa is the Program Manager with Hawaiian Community Assets, a Non- Profit Native Hawaiian Community Development Corporation, with a mission to build the capacity of low to moderate income communities to achieve and sustain economic self-sufficiency with a particular focus on Native Hawaiians. She is trained as a Certified Housing and Urban Development Counselor to coach and counsel individuals seeking assistance with their housing and financial needs. 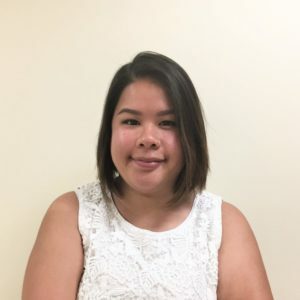 Her main responsibility is to conduct renter and homebuyer educational workshops, individual counseling and provide case management to clients from enrollment to exit from HCA match savings accounts and Hawaii Community Lending (HCL) loans. Her position also requires that she develop and maintain partnerships with employment and small business service providers, housing developers, County agencies and other key partners. As a Native Hawaiian Community Development Corporation the organization is looking to expand its service delivery to include employment and/or small business start-up services. Vicki has spent the majority of her working life employed by non-profit organizations. She has worked with the homeless and houseless, veterans, educational and scholarship services and employment and training programs. Vicki received her BA in Professional Studies-Business Administration from the University of Hawaii-West Oahu Campus. 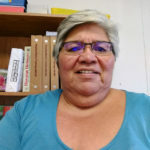 She currently sits on the Board of Directors for Kealahou West, an Emergency/Transitional Shelter is an advisory council member for a multi-use facility, Ohana Kako’o Resource Center that provides the space for needed services to the community, and is a Group Leader for her churches Bible Studies Group.